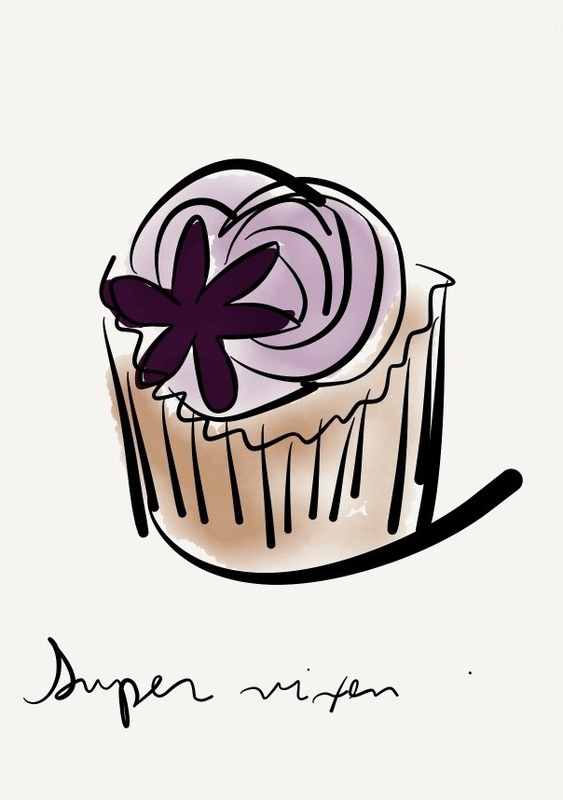 Last Tuesday, I was invited to a private degustation of the latest spring cupcake flavors at Sugar Daze. Although there seemed to be a cross-cultural aversion to licorice, this little violet and licorice beauty was the shining star of the evening. Tasting 6 cupcakes before dinner was no easy task. Although I will willingly re-accept the challenge any day. Luckily, I did halvsies with Meg. Check out her take on the evening here. And don’t forget to drop by Sugar Daze for a super vixen of your own. Takes one to enjoy one, right?